UPDATE The Mesa County Sheriff's Office with the help of area law enforcement agencies have completed the search of the area. Reeder Mesa Road is back open. The shelter-in-place has been lifted. We will have deputies in the area for when students are dropped off this afternoon as a precaution. The incident is still under investigation. Investigators are still determining the cause of the damage to the bus. At this time it is unknown if the bus was intentionally targeted or if this was an accident. No students were on the bus when the damage occurred. The bus driver was not hurt. If anyone has information about this incident please call (970) 242-6707. To sign up your cell phones for future community notifications or emergency alerts click here. WHITEWATER, Colo - The Mesa County Sheriff’s Office is investigating a shooting in Whitewater involving an empty school bus. At 6:22 am deputies responded to a report of a school bus being shot at while driving on Reeder Mesa Road near Desert Vista Road. No children where on the bus at the time. The bus driver was not hurt. A single bullet is believed to have broken two windows on the bus. A community notification was sent out to homes in the area alerting residents to stay inside and shelter-in-place. Deputies are going door-to-door to check on residences and release the shelter-in-place. They are also methodically searching the area. Reeder Mesa Road is closed at Highway 50 while law enforcement investigates. At this time it is unknown if the bus was intentionally targeted. The origin of the bullet is still under investigation. Student Transportation of America contacted all District 51 parents with students who take the bus and advised them on the situation. The bus will be out of service until further notice. The Mesa County Sheriff’s Office, Grand Junction Police Department, Colorado State Patrol, District 51, Colorado Department of Public Safety and Colorado Bureau of Investigation are involved in the investigation. Anyone with information about this incident is asked to call law enforcement at (970)-242-6707. GRAND JUNCTION, Colo - This week Crime Stoppers of Mesa County needs your help to identify and locate the suspects involved in a theft from Walmart located at 2881 North Avenue. Shortly after 2:30 p.m. on Sunday, September 17th, a female suspect selected an American Classic air soft gun and exited the store without paying for gun. The suspect is a white female in her 30’s, approximately 5’7” and last seen wearing a black hoodie and blue jeans. The suspect was last seen leaving in a silver Toyota four door sedan. If you know the identity or whereabouts of the suspect involved in this crime, please call Crime Stoppers at 241-7867. Information reported to Crime Stoppers that leads to an arrest can earn you up to $1,000 cash reward and you will remain completely anonymous. For more information visit www.241stop.com. UPDATE: Mesa County Sheriff's investigators located Ciara Bugay, 17, this afternoon at a residence in Mesa County. She was found in good health. Bugay is now back with her family safe. Thank you to the public for helping spread the word about this case. MESA COUNTY, Colo -The Mesa County Sheriff's Office is asking for the public's help in locating an endangered runaway teen with medical needs. Ciara Bugay, 17, of Fruita was reported as a runaway on Wednesday night. Bugay is a Type 1 Diabetic and receives insulin every day through an insulin pump. She is believed to have enough insulin to last her through Saturday night. Family have been corresponding with Bugay through social media since running away, but she has not returned home yet. Investigators are now asking for the public's help in locating the teen. Bugay is from Craig, but currently lives in Fruita. She does have ties to Parker, CO.
Bugay was last seen wearing jeans, tall brown boots, a red shirt and had a tan and ivory colored cloth backpack in her possession. Bugay is described as 5'2" tall, 147 pounds with brown hair, green eyes and tattoo on left forearm (Take These Broken Wings). If you have any information on where Bugay is located or if you see her, please contact the Mesa County Sheriff's Office at 970-242-6707 immediately. Michael Marin became a suspect in a motor vehicle theft from Clifton yesterday afternoon in addition to the recent fast food robberies in and around Mesa County. Parker Police Department came in contact with Marin last evening and located the stolen vehicle. For details on the Parker PD case, you can access their Facebook page. We are still seeking Jessica Rojas in connection to her unrelated warrants. As always, we thank the public for their help in locating Marin. MESA COUNTY, Colo - The Mesa County Sheriff’s Office is asking for the public’s help in locating the suspect believed responsible for three recent fast food robberies. Michael Marin, 35, has warrants for his arrested from the Mesa County Sheriff's Office, Grand Junction Police Department and the Delta Police Department. Investigators are seeking information about Marin's whereabouts, known associates, the car he maybe driving in and where he is staying. Investigators would also like to speak with Jessica Rojas, 26, of Montrose, who is believed to have information about Marin's whereabouts. Rojas also has outstanding warrants unrelated to the robberies. Marin is believed to be armed and dangerous. If you have information about Marin or Rojas whereabouts call 911 or non-emergency dispatch at (970) 242-6707. GRAND JUNCTION, Colo - The Grand Junction Police Department needs your help in locating the suspects involved in a burglary. Shortly after 11:30 p.m. on Wednesday, October 4th, unknown suspects unlawfully entered Pearle Vision located at 611 24 Road by prying open the front glass door. Once inside the business, the suspects removed numerous pairs of Ray-Ban, Versace and Coach designer eye glasses and sunglasses, along with a Surface Pro computer. The total estimated damage and property loss is over $34,000. If you know the identity or whereabouts of the suspects involved in this crime, please call Crime Stoppers at 241-7867. 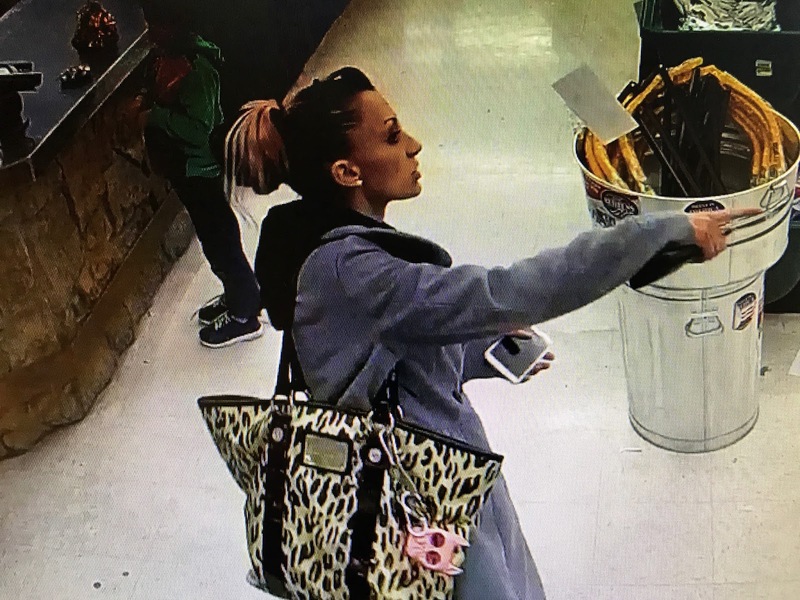 Information reported to Crime Stoppers that leads to an arrest can earn you up to $1,000 cash reward and you will remain completely anonymous. For more information, visit at www.241stop.com. MESA COUNTY, Colo - The Mesa County Sheriff's Office has received several reports of a phone SCAM where the caller is pretending to be a sheriff's deputy and threatening arrest if the intended victim doesn't pay. So far, no one has reported they have lost any money as a result of this SCAM and we would like to keep it that way! Here's how the SCAM works. The caller identifies himself as an officer or deputy. Some versions of the scam they use fake names, sometimes they use real deputy's names. In this latest version, they are using the name Lt. Sorenson from the Mesa County Sheriff's Office. Sometimes he says he’s from the “Civic” Department which does not exist. The scammer tells their intended victim they missed a federal jury summons appearance or have missed jury duty and have a warrant for their arrest. To fix this, of course they need to pay money!! That's the first Red Flag. No law enforcement agency will ever call you and threaten to arrest you if you don't pay money. If you have a warrant for your arrest, we won't call you, we will just come and arrest you. The scammer tells them the money needs to be paid in person to the Sheriff's Office, which sounds legitimate to a person who never has had a been in trouble before. Here is another Red Flag: The scammer, then conveniences them that the Sheriff's Office only accepts a form a payment that has to be purchased at another location like a grocery store. The scammer gets his victims to buy a prepaid card worth thousands of dollars, then take it the police station. But before they go to the police station or Sheriff's Office, they must call and give them the numbers on the card to make sure they got the right form of payment. Then once they go to the police station or sheriff's office, guess what....the scammer has already taken the money off of the cards and the victim has lost the money. The Sheriff's Office doesn't take prepaid cards as payment, only scammers do! We accept cash or check. Scammers are getting smart. They are using all of the tools at their disposal to make the story they are telling their victims sound real. They will even get details about their intended victim from Facebook and other social media sites to make it seem like they are who they say they are. But they are lying! Have you googled yourself lately? Looked at your public Facebook profile? Scammers have. If there is information there you don't want them to have, like your phone number, where you work, if you are gone on vacation...take it down, or increase your privacy settings. Hang up! If you are unsure if the call is real or a scam, ask what agency or company the person is from and call them yourself! Don't use the phone number they give you, look up the phone number yourself and call. Often scammers will set up fake phone numbers for this vary reason. You won't get into trouble for verifying information. Please DO NOT fall victim to this scam. Call the Mesa County Sheriff's Office at (970) 244-3500 if you have a question. MESA COUNTY, Colo -- Before you hit the streets to trick-or-treat this Halloween, map out a safe route! Plan out the most convenient and safe route now, so you and your family can just enjoy the delights and frights of Halloween safely. Start with an area you are familiar with and create a route. Only go to homes you know, incorporate crosswalks when you need to cross the street and try to avoid major intersections if possible. Also stay in well lit areas on sidewalks and out of the streets. This is a great time to talk to kids about the importance of looking both ways before you cross the street. Most of us will be trick-or-treating at dust or a night, when it is hard for drivers to spot kids especially ones in dark-colored costumes. For drivers, be mindful of kids crossing streets and possibly darting out into roadways. Halloween is Tuesday, however trick-or-treating events may be happening in the valley throughout the weekend. Also, make sure an older child or adult accompanies kids trick-or-treating, check the candy before your kids eat any of it and take a picture of your children in their costume before heading out. In case your kids lose you while out trick-or-treating, it is very helpful for law enforcement to know exactly what your child looks like in their costume. The free neighborhood social media network Nextdoor can also help. It's Treat Map tool gives you the inside scoop on who will be giving out candy Halloween night! Nextdoor users participating in trick-or-treating this year can put a candy corn icon on their house under the neighborhood map section. When you go to plan your route, you can see exactly who in your neighborhood is handing out candy! To access the Treat Map click on your neighborhood's map and zoom out from your home to see who in your community is participating. Don't forget to mark your own home if your are going to be giving our candy! CLIFTON, Colo - The Mesa County Sheriff's Office needs your help in identifying the suspect who robbed the Clifton Sonic Sunday night. 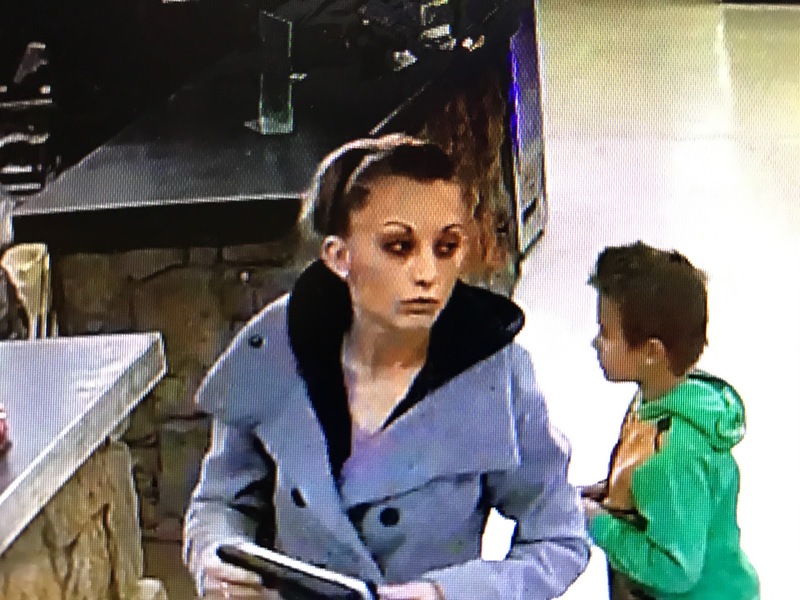 Deputies responded just before 11:00 p.m. to a report of a robbery that occurred at the restaurant located at 3200 block of I-70 B. An employee reported a male walked up to the business and demanded cash. The suspect then left in a 4-door passenger car. The suspect's image was captured on surveillance camera. He is described as a white male, medium build with blue eyes wearing a navy blue hoodie and jeans. 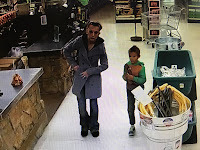 If you have information about the identity of this suspect or this crime call the Mesa County Sheriff’s Office at (970) 242-6707 or call Crime Stoppers at (970) 241-STOP. Information reported to Crime Stoppers that leads to an arrest can earn you up to $1,000 cash reward and you will remain completely anonymous. UPDATE: Kodi Wright, 21, was taken into custody after a warrant for issued for his arrest. 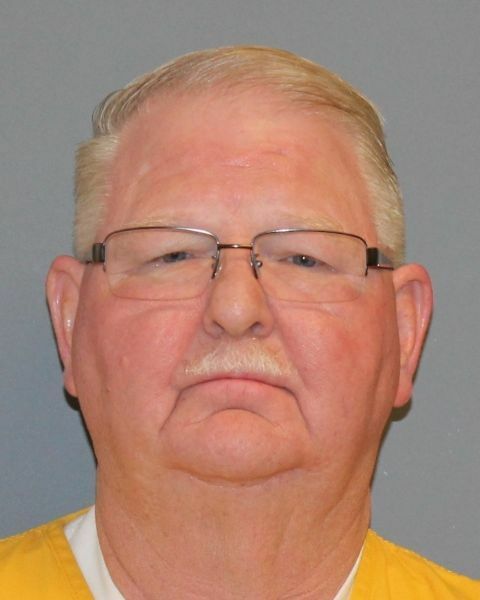 Wright is facing charges related to the vandalism that occurred in May at a water tank facility belonging to the Clifton Water District. Those charges are Criminal Mischief (Class 6 Felony), Theft $750 - $2000 (Class 1 Misdemeanor), and Second Degree Criminal Trespass (Class 3 Misdemeanor). 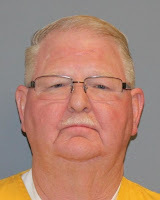 Wright is being held in the Mesa County Detention Facility. For updated bond information on any inmate currently in our jail facility, visit our Inmate Inquiry System webpage. The Mesa County Sheriff's Office would like to thank the public for their help in solving this case. MESA COUNTY, Colo - The Mesa County Sheriff's Office is asking for the public's help in identifying the suspect(s) responsible for vandalizing a water tank facility belonging to the Clifton Water District. Sometime between May 11th and May 19th fencing was damaged and a FAA required obstruction warning light was stolen at the Clifton Water Facility located on the 3100 block of N I-70 Frontage Road. A total of $3,200 in damage was done. 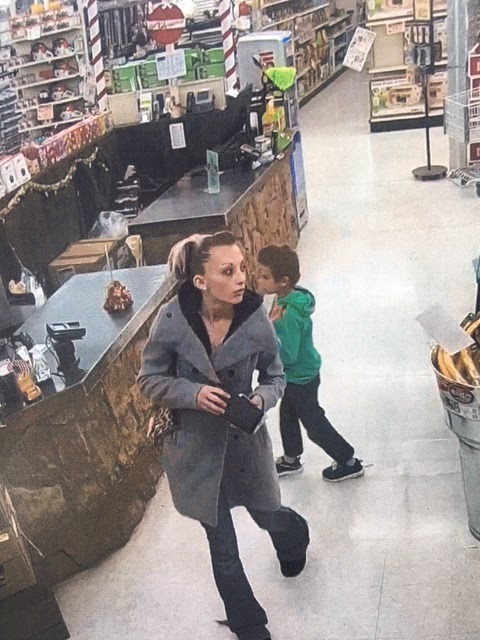 If you have any information about this crime please contact the Mesa County Sheriff's office at (970) 242-6707 or call Crime Stoppers at 241-STOP (7867). 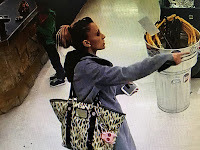 Information reported to Crime Stoppers that leads to an arrest can earn you up to $1,000 cash reward and you will remain completely anonymous. For more information, see us at www.241stop.com. MESA COUNTY, Colo - Two people were arrested after the Western Colorado Drug Task Force executed a search warrant overnight at a residence on the 300 block of 29 Road in Grand Junction. Junhui Liu, 38, and Hai Wan, 38, are facing charges of Distribution/Manufacture/Possession with intent to distribute Marijuana > 50 pounds or > 25 pounds Concentrate (Class 1 Drug Felony) and Cultivation of more than 30 Plants (Class 3 Drug Felony). This is an ongoing and active investigation. Documents related to this case are under seal by the court. Liu and Wan were booked into the Mesa County Detention Facility. For updated bond information on any inmate currently in our jail facility, visit our Inmate Inquiry System webpage. Look for the sticker before you use a credit card at the pump! MESA COUNTY, Colo – The Mesa County Sheriff’s Office is warning the public of a credit card fraud scheme at the pump after credit card skimmers were recently found at a local gas station. A manager at the C & F on the 400 block of 32 Road discovered devices known as a credit card skimmer at two pumps on September 28th. The device is designed to steal customers credit card numbers which then are used to make fraudulent purchases before the card holder is even aware it was compromised. Sheriff’s investigators say credit card skimmers are becoming a significant issue in Mesa County. These devices themselves are not visible from the outside, however all gas stations have a safety feature built in to help spot if a gas pump has been compromised. Before you swipe your credit card, look for the Security Seal Sticker. If it is broken DO NOT use that pump and immediately report it to the gas station cashier!!! Also regularly check your credit card statements for any unusual activity. If you have information about this crime call Mesa County Sheriff’s Office at (970) 242-6707 or call Crime Stoppers at (970) 241-STOP. Information reported to Crime Stoppers that leads to an arrest can earn you up to $1,000 cash reward and you will remain completely anonymous. MESA COUNTY, Colo - The Mesa County Sheriff’s Office needs your help in locating the suspects that vandalized the bathrooms at the Grand Mesa Shelter at the south end of Longs Park located at 3118 E ½ Road. Sometime between 7 p.m. on Monday, September 25th and 7 a.m. on Tuesday, September 26th, unknown suspects entered the bathrooms and broke all sinks, urinals, sanitary, soap and toilet paper dispensers and the diaper changing station. Fires were set on a toilet inside the women’s bathroom and on the floor of the men’s bathroom. The total estimated damage is over $8,000.